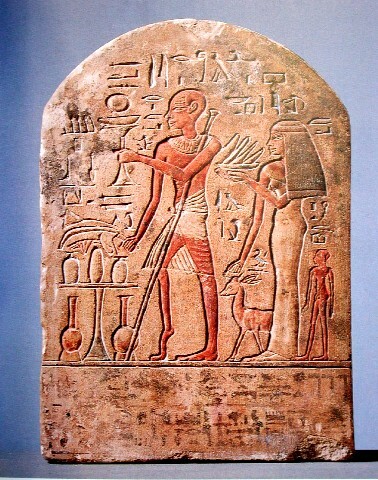 Ancient Egyptian stela (stone carving) of Roma, during the reign of King Amenhotep III in the 18th Dynasty (14th century B.C.). Courtesy of Lincolnshire Post-Polio Network http://www.lincolnshirepostpolio.org. The photo was the front cover of the December 12, 2001, edition of their newsletter, The Lincolnshire Post-Polio Information Newsletter.